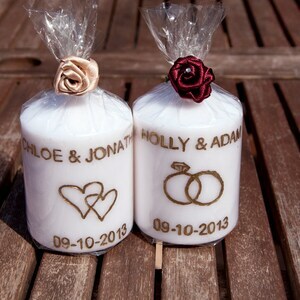 These unique engraved personalised candles are the perfect wedding favour, so unusual to what you usually see and personalised to your choice. 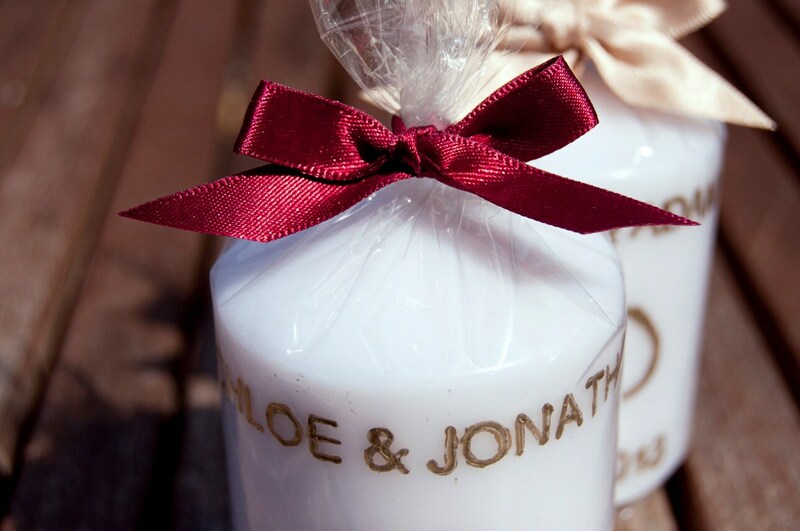 A brilliant little gift for your guest to take home with them. 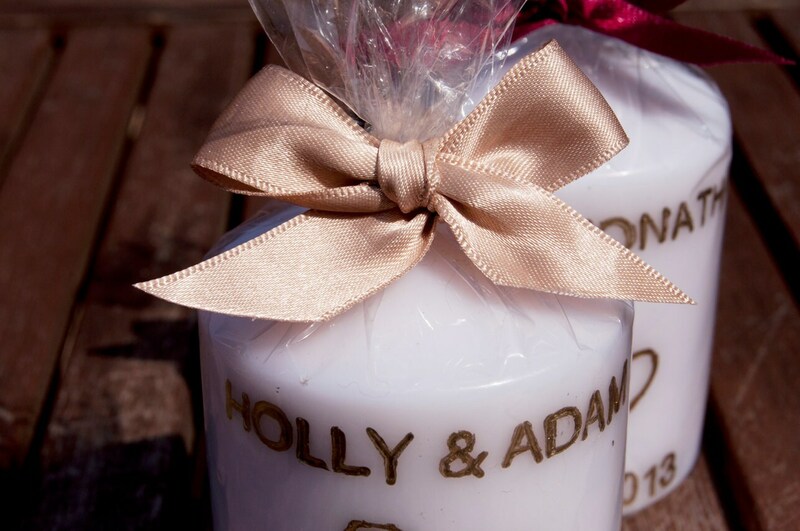 Each handmade favour is made from white wax, the candles are engraved to your choice, the wedding date, initials or any wording of your choice that fits the candle. 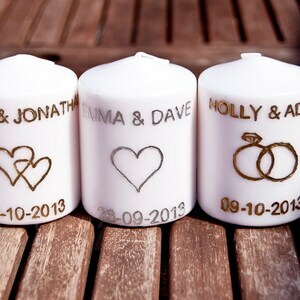 The colour choice is only limited to 2 colours only, this is gold or silver. 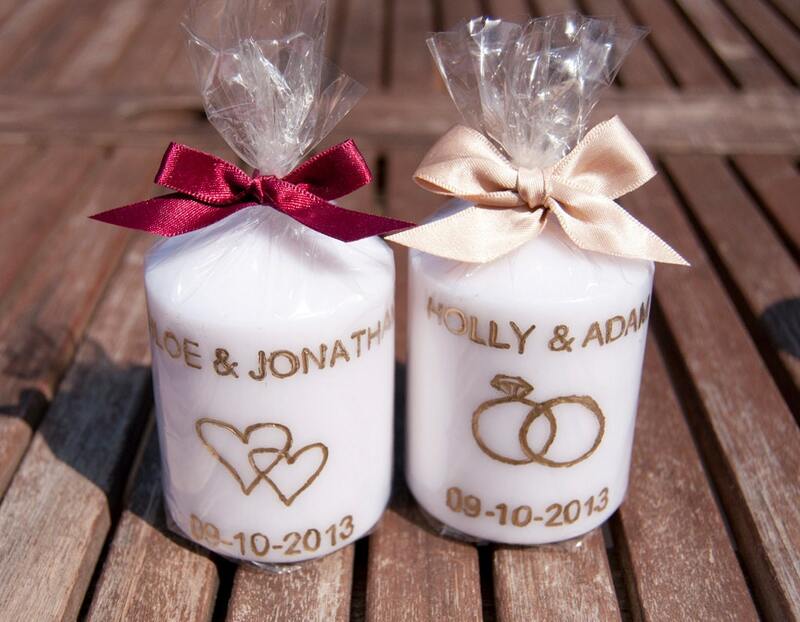 After being engraved to your choice the candles will be wrapped in cellophane and topped with a cute bow, the ribbon bow is in your choice of colour and there is 2 width to choose from 10 mm or 15 mm. 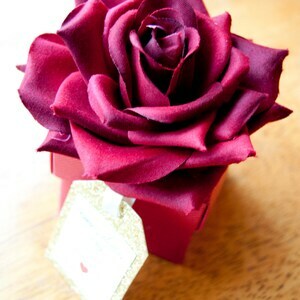 This was a small order but the seller was very helpful, checking on details required. 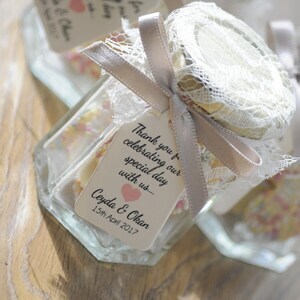 She also guaranteed delivery and the items were well made, arrived on time and were well packed. Thank you. I would definitely recommend to family and friends.